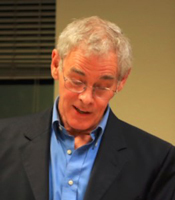 Neil Doherty, a retired professor from the Wharton School of Economics with many articles and technical books to his credit, moved to Bainbridge Island a few years ago. 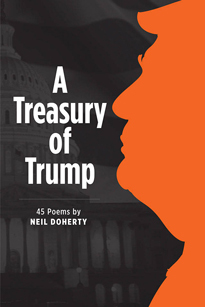 When Donald Trump won the presidential election in 2016, Doherty turned to poetry to help him work through his disappointment. The outcome is his chapbook A Treasury of Trump(2017). Many of the poems in the book are written in a nursery rhyme style even though they address serious political and social issues. Says Doherty: "You've got to make light of it. You can't cope rationally with something this severe. If you don't laugh, you can't make it." For more information on this author go to https://thehumanist.com/contributor/neil-doherty/.